377455 waits at Havant forming 2S62, 1159 Portsmouth & Southsea to Littlehampton on 23rd June 2012. 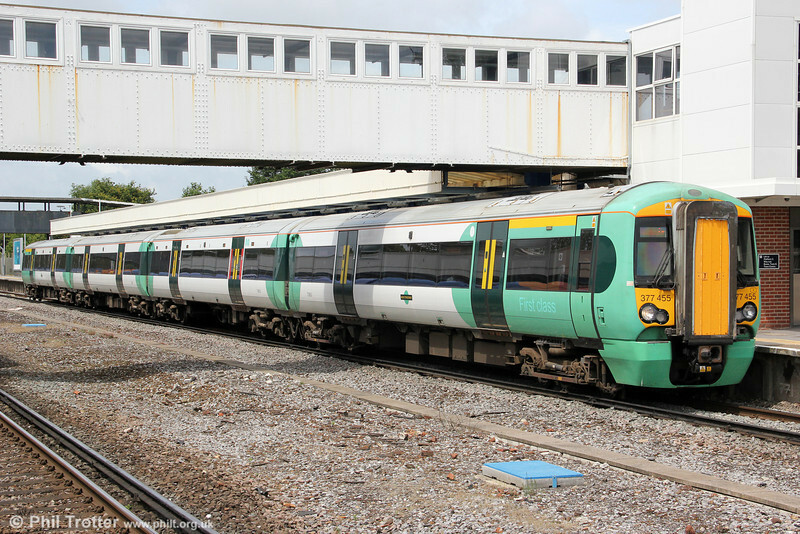 The Southern fleet includes 64 class 377/1s, 15 class 377/2s, 28 class 377/3s and 75 class 377/4s. An additional 23 class 377/5s are operated by FCC.